Freedom Network [FN] has demanded independent investigation into the attack on senior TV anchorperson Hamid Mir, one of the strongest supporters of press freedom and freedom of expression in Pakistan, who received three bullets after failed attempt to target-kill him in Karachi on Saturday (April 19, 2014). “The investigation should take into consideration the injured journalist’s pre-attack testimony to his family, friends and some press freedom organizations that he is coming under imminent attack(s) from the state actors,” FN said in a press freedom alert 12 hours after the tragic incident shaking the country and friends of Pakistani media. FN said the attack was sign of dangerous situation the Pakistani media is increasingly feeling with attacks on media houses, media assistants and working journalists have increased significantly since the start of 2014. A TV journalist was killed in mysterious circumstances in Sindh, three staff members of Express media group were gunned down and two failed assassination attempts on senior journalists Raza Rumi in Lahore and Jamshed Baghwan in Peshawar this year alone. Baghwan has experienced two attempts when high-grade explosives were planted outside main gate of his residence. FN also voiced concern over the delay in follow-up of first meeting of ministerial committee set up by Prime Minister Nawaz Sharif with directive to Interior Minister Chaudhry Nisar Ali Khan to sit with media houses’ owners and working journalists to enforce fool-proof safety measures. The committee first met on February 4 this year and no follow-up meeting has even happened since then although the interior minister directed concerned departments to have met sooner again than later. “Such long delay in having the follow-up simply negates the current government’s stated commitment to safeguarding the press freedom and freedom of expression in the country,” FN concerned. Hamid Mir, the host of ‘Capital Talk’ show on Geo News channel, was attacked on Saturday (April 19, 2014) minutes after landing in Karachi with brother Amir Mir indicting Pakistan’s military-led Inter-Services Intelligence chief Lieutenant-general Zaheerul Islam for “masterminding the attack” on the senior journalist. The incident took place on Sharae Faisal near Natha Khan area when the gunmen opened fire on his vehicle around 5:30pm causing wounds to the journalist’s abdomen and pelvis. The journalist was on his way to his office from the airport when he was attacked. “Four gunmen riding on motorbikes started firing at the car near Karsaz (around six kilometres from Jinnah International Airport) when Mir’s car was passing through, he received three bullets,” senior police official Peer Muhammad Shah told media in Karachi. Mir was taken to a private hospital for emergency treatment where he was operated upon to retrieve bullets from his body. “He has been taken to recovery room where his condition is stable,” Geo News reported Sunday morning. Hamid Mir also told FN on April 7 that the ISI is “hatching conspiracies” to harm him as he was issued non-bailable arrest warrant by a court in Balochistan over his article. In November 2012, Hamid Mir had narrowly escaped a bid on his life when the bomb disposal squad defused a bomb planted under his car in Islamabad. Prime Minister Nawaz Sharif called a meeting of key government aides to discuss the attack on Hamid Mir after getting briefing from Interior Minister Chaudhry Nisar Ali Khan, DawnNews reported. PM Sharif also met with Interior Minister Chaudhry Nisar Ali Khan earlier to discuss the incident. The police have managed to prepare sketches of the assailants with the help of three eyewitnesses. An investigation committee led by the additional inspector general of police also has been formed. 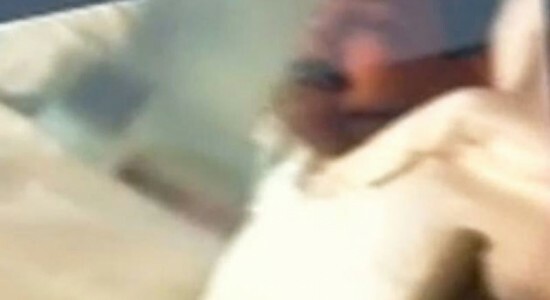 Sindh Information Minister Sharjeel Memon announced that the provincial government would award Rs50 million to those who assist the police in nabbing those who attacked journalist Hamid Mir on Saturday evening.